Alright guys, let’s face it. Sometimes you are clueless as to what kind of gifts to buy for your girlfriend. 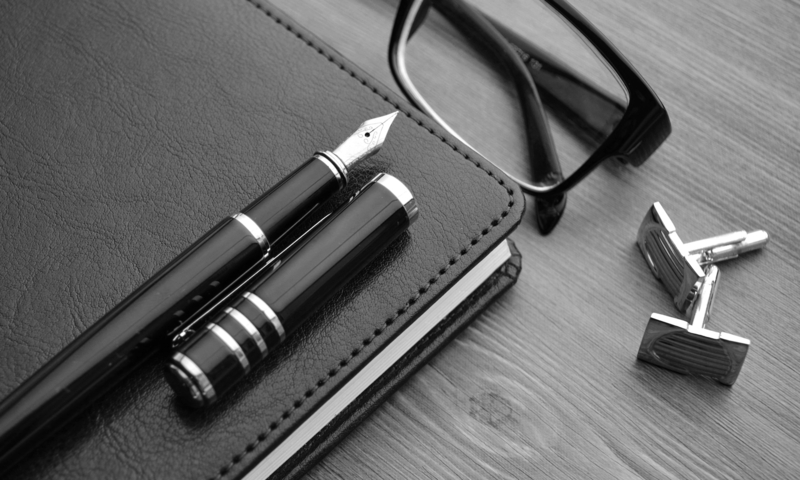 Suppose you are passionate about writing with a fountain pen and you would like to introduce your girlfriend, wife or daughter to what the fuss is all about. Perhaps your girl is an artist, writer or a business professional and a fountain pen seems like a natural gift. 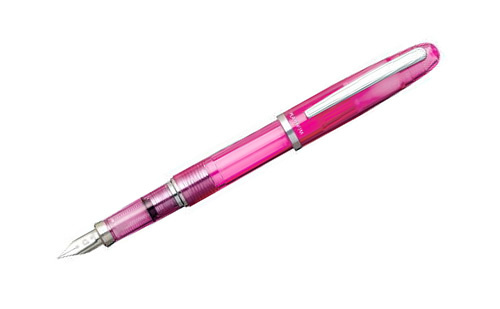 Guys are often attracted to technical pens that are heavy, large and masculine in color and appearance. Women tend to like pens that are slender and lighter in weight with an attractive, stylish appearance. You may be thinking you need to buy a diamond-encrusted limited edition fountain pen (and by all means do it if you can afford it! ), but a more modest investment is a good approach if you’re not sure if she’ll share your love of writing with a fountain pen. Take a look at our suggestions and maybe you’ll find something on this list that will appeal to your special friend. We’re listing these by price – from the least expensive to the most expensive. 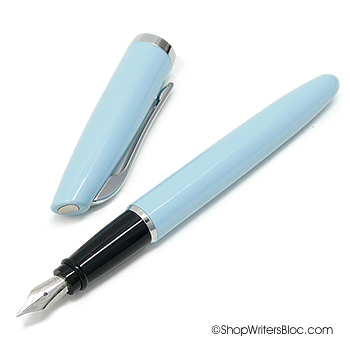 The Pilot Metropolitan’s medium nib is smooth, easy to write with and the pen comes complete with a gift box, ink cartridge and ink converter for use when you buy her a bottle of ink to go with it. A fabulous deal for the price! We particularly like the pearly White Tiger or Violet Leopard, but if animal prints aren’t your girlfriend’s style there are also other color options. 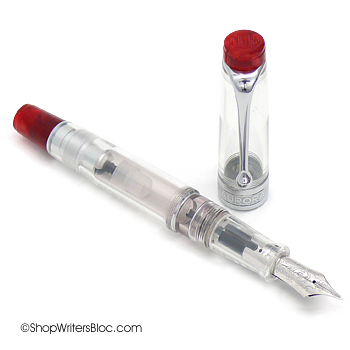 The Platinum Plaisir is low maintenance thanks to a special inner cap that keeps the ink from drying out in the nib. 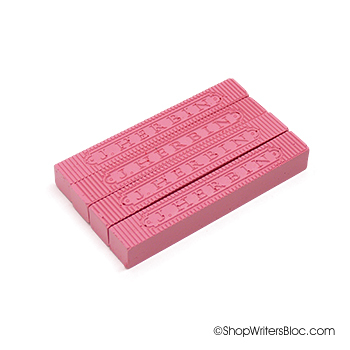 Its pearlized finish comes in a flashy bright lipstick Red as well as more demure Frosty Blue, Pink or Violet colors. 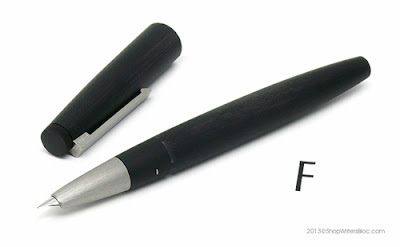 For this pen, we favor the fine nib for someone new to fountain pens. Women love color and many love to write with colorful ink! 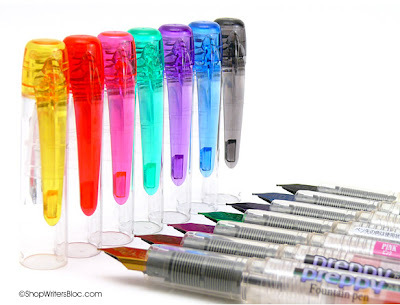 How fun it would be to receive a set of 7 colorful Preppy Fountain Pens each with their own matching ink color. 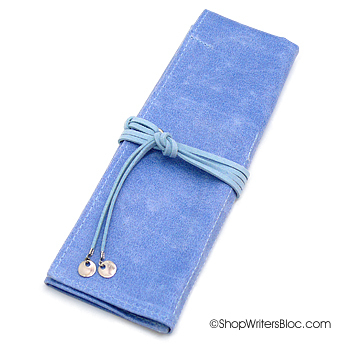 To complete this gift it is a must to buy a pen pouch to store them all in. 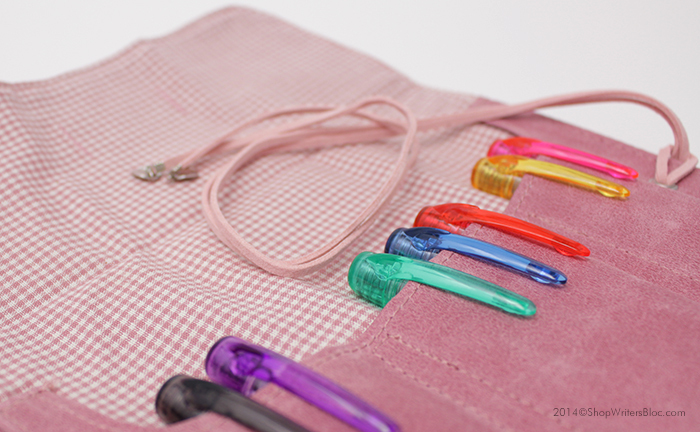 There are tons of pen pouches to choose from such as the PlePle Wrap Pen Case which happens to fit seven Preppy Pens perfectly! 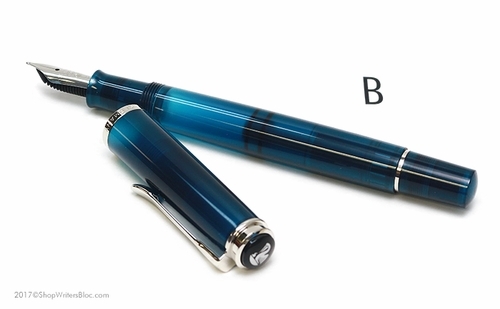 The Platinum Cool Fountain Pen is a demonstrator pen, which means it has a clear body that allows you to see the inside of the pen and gives it a more “delicate” appearance. The clear Crystal Rose pink is very feminine, and if pink is not her thing then we suggest the clear Crystal Blue which is a serene sky blue color. The Platinum Cool Pens are packaged in a clear gift box and include an ink converter for using bottled ink. 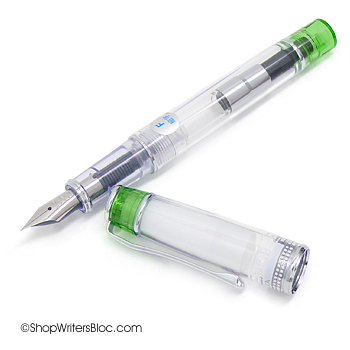 This Pilot Prera fountain pen is a clear demonstrator pen with a pop of color on the end of the cap and the end of the body. If your girlfriend likes to write with colorful ink the clear body of the pen is a nice feature since it allows you to see the colorful ink inside the pen. 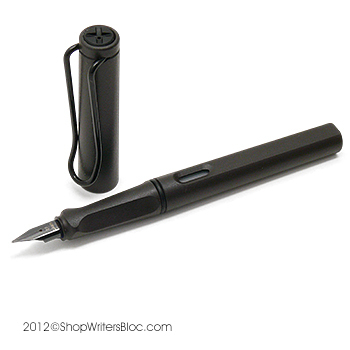 When it is capped, the pen is very compact so it fits easily into a pocket or purse. Conveniently this pen comes with an ink converter so you can use bottled ink and is available with a variety of accent colors such as Light Green, Light Blue, Pink and more. The fine nib is a good choice for writers with small handwriting. Aurora Style fountain pens have a sleek, modern appearance, perfect for writers that don’t like a lot of fussy frilly details. The Style Gemstone collection includes a beautiful pale Aquamarine Blue and a pale Amethyst Purple. For those drawn towards bright colors I really like the golden-yellow Mustard and the burgundy-red Paprika Style pens. There are also other more conservative color options like a soft White. 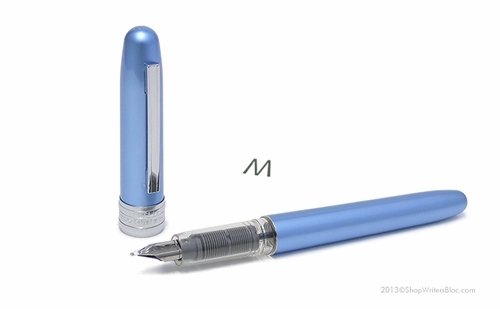 The Pelikan Classic M205 or M200 Fountain Pen seems to be made for a woman’s hand. 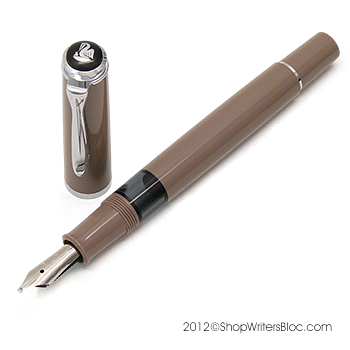 It is one of Pelikan’s smaller fountain pens so it is just the right size. 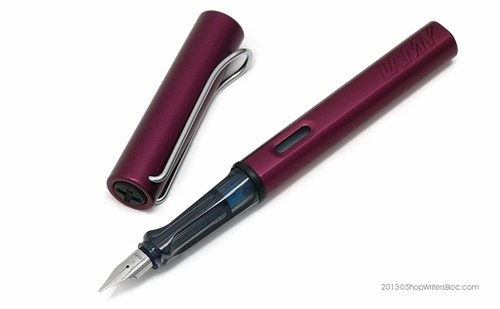 It has a piston filling system which means it is meant to be used with bottled ink. 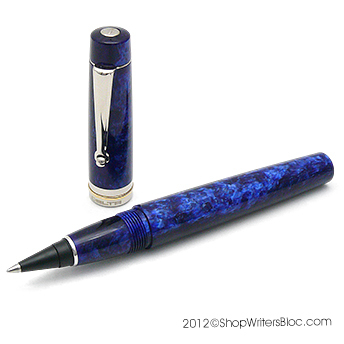 The Delta Vintage Fountain Pen is hand-made from a mother of pearl acrylic resin that beautifully catches the light. 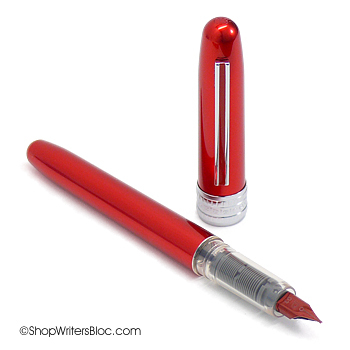 This modern Italian-made pen comes in a gift box with an ink cartridge. 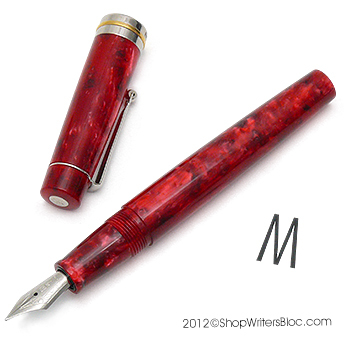 The marbled Ruby Red or White pens are gorgeous! 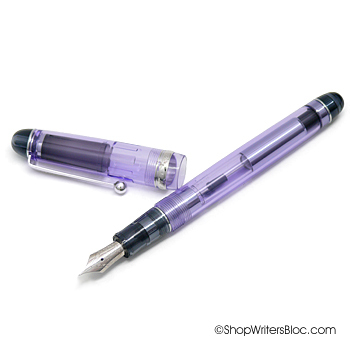 Besides the fact that the Pilot Custom 74 is an awesome fountain pen to write with, we particularly love the inspiring color of the clear Violet Custom 74 pen. I really want to use this violet pen along with Pilot Iroshizuku Beautyberry ink! This is the only pen on our list with a 14K nib, so naturally this pen is a bit more of an investment, but it is not over-the-top expensive. It comes with all the goodies you need – a gift box, ink cartridge and an ink converter – and it is available in several other colors such as a cheerful orange or a sapphire blue. Remember guys, usually only one ink cartridge is included with a new fountain pen (if it has a cartridge/converter filling system), so be sure to get an extra pack of ink cartridges or a bottle of ink and an ink converter (if necessary) when you buy your gift. If she loves writing with her new fountain pen she’ll be sure to appreciate the extra thoughtfulness on your part. 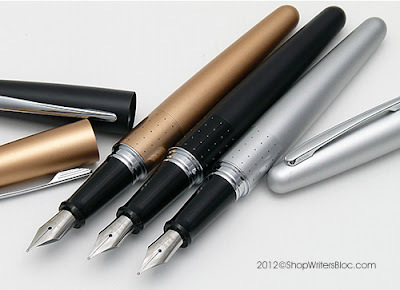 Now that we’ve got 10 fountain pens on our list we feel that the list could be expanded by many, many more. 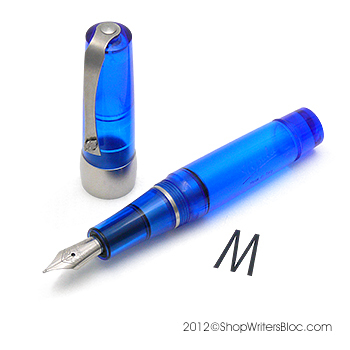 All of you women writers out there, what fountain pen do you wish your man would buy for you? There is a fountain pen ink for every color of the rainbow and each of them has its own special characteristics. Fountain pen ink comes in cartridges or bottles that encompass designs from utilitarian to a piece of art that begs to be displayed. 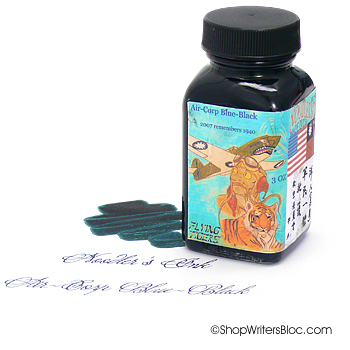 A writer could spend a lifetime experimenting and writing with the plethora of inks currently available. So how did these fountain pen inks make our top ten list? Some of them are best sellers, some are staff favorites and others have their own qualities that make them special. We have chosen to list the inks by price, from most expensive to least expensive (this is not to say that whatever is the most expensive is the best). Certainly, our top ten list will be different than yours, so please share with us your favorite inks! 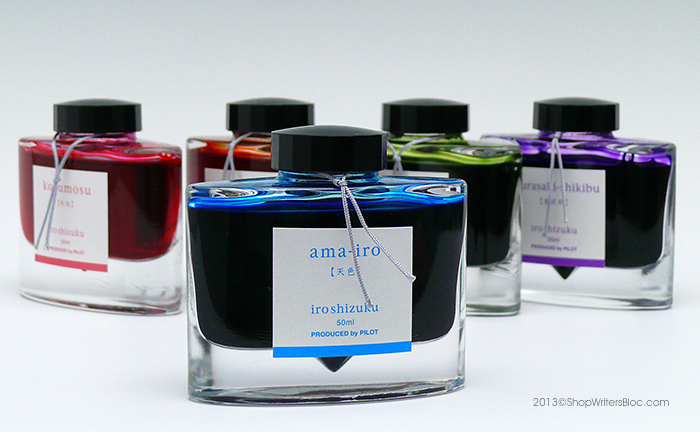 Pilot Iroshizuku ink comes in a glamorous modern and sophisticated oval-shaped bottle. This heavy glass bottle even has an indentation on the bottom of the interior to help you use the ink down to the last few drops. Add to this the wide range of colors that express the beauty of nature in Japan and you’ve got a stylish winner! 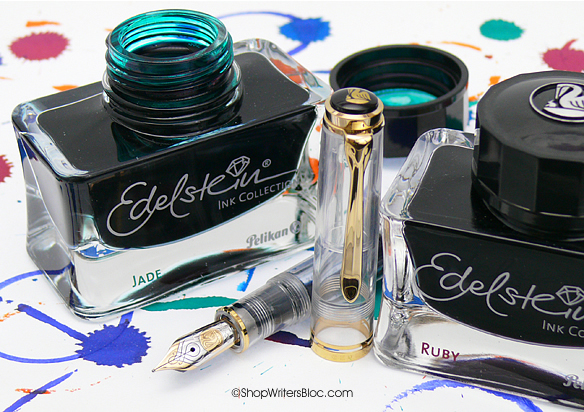 On our list, the runner up in this category would definitely be Pelikan’s Edelstein ink. 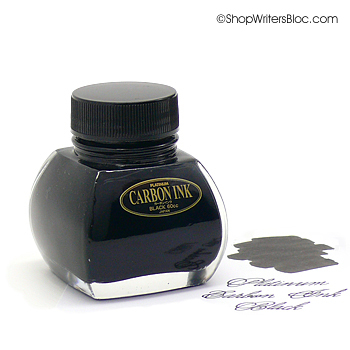 Platinum Carbon Black ink is a favorite of artists that create art with a fountain pen. It is pigment based rather then dye based which makes it very water-resistant, fade-resistant and heat-resistant after it dries. 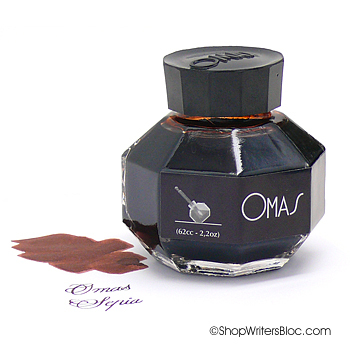 It is often used for drawing along with a watercolor wash.
Omas Sepia fountain pen ink has a modern formula but a vintage, old timey-wimey appearance and it looks fabulous on cream colored paper! The interesting bottle design allows you to tip the bottle on its side while filling your pen with ink which helps a lot when the bottle’s ink level is starting to run low. 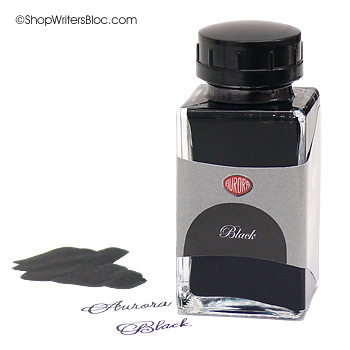 Aurora Black ink is our top choice for a friendly, easy to use ink that is a deep, dark, intense black color. 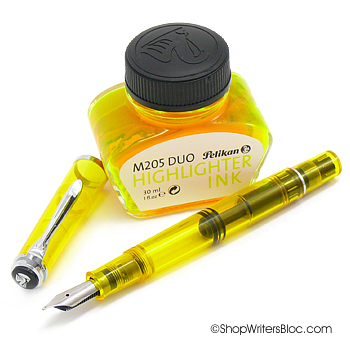 It comes in both Ink cartridges suitable for Aurora fountain pens or in bottles so that you can use it with just about any fountain pen. 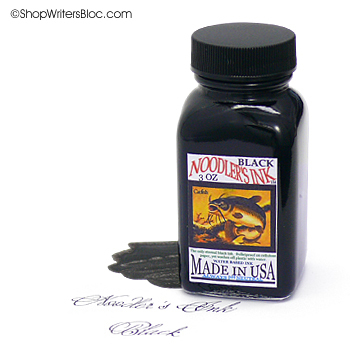 Noodler’s Bulletproof Black ink is a great daily workhorse that is suitable for a wide variety of situations. It has “bulletproof” qualities which means its resists the effects of water, bleach and light. This made in the USA bottled ink is more economical and environmentally friendly than ink in cartridges which many writers appreciate. Noodler’s Aircorp Blue-Black is Alex’s favorite ink to use daily in any sort of pen including rollerball pens that use fountain pen ink and even in pens where the ink flow tends to be a bit on the dry side. Instead of being a regular black or standard blue color it is an interesting shade of blue-black. Being a left-handed fountain pen writer presents its own set of challenges. Ink must dry quickly or be smeared all over the page! I’ve successfully used a wide variety of ink without smearing by pairing it with the right paper and a fine or medium nib. 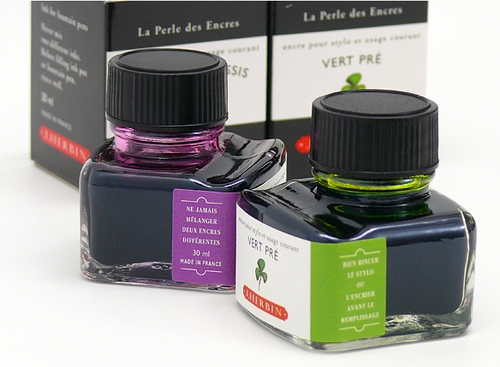 I must say though that J. Herbin La Perle des Encres is the ink I always go back to. Love the variety of colors, I can use most of them without smearing and the bottle has a nifty pen-rest. 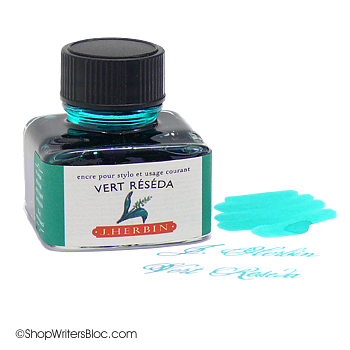 J. Herbin Vert Reseda turquoise ink is Alan’s all-time favorite ink color! He loves this color of French green. 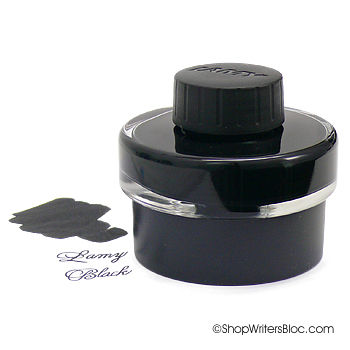 LAMY T52 Black fountain pen ink is a best seller for many reasons: it is easy to use in any pen, it is low maintenance and good for beginners, the price is economical and black is the the most commonly used color of fountain pen ink. It comes in a cool bottle that includes a handy small roll of blotter tape and it is also available in cartridges for LAMY fountain pens. We’ve shared our list – now tell us what your top 10 fountain pen inks are! The 2013 school year has almost come to a close for many happy, relieved and proud Graduates. What will you get your Grad to celebrate their accomplishments? We’re happy to share a few of our ideas. 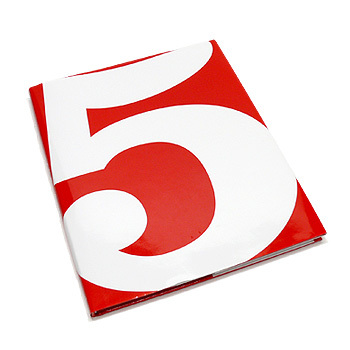 The 5 Book has got to be one of the ultimate gifts for any Graduate. As Grads enter college or the work force they face the challenge of setting goals and making many decisions. What can help? The 5 Book was designed to stimulate thinking and direct your Grad to goals they can use to map out the next five years of their life. Really, I think just about every one of us could use this book. A classy pen can last a lifetime and then be passed on to a future generation of Graduates. Even in a world full of technology a fantastic pen is a gift that is really appreciated. 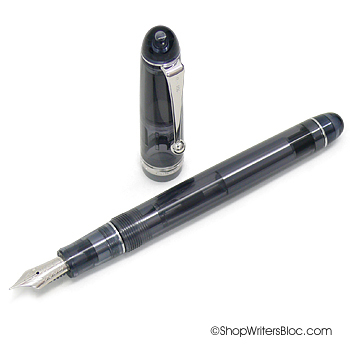 Chances are your Grad has not yet experienced the pleasure of writing with a fountain pen. The sleek modern design of the Aurora Style fountain pen was created with young professionals in mind. Fill it with some Aurora fountain pen cartridges in a deep black ink and impress a hipster! If you feel that a fountain pen is a little too old-fashioned for your Grad, a quality rollerball pen that can be refilled with fountain pen ink is a good alternative. A classy rollerball pen works well when signing documents that produce multiple carbon copies. 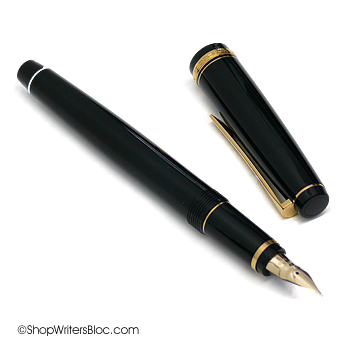 Pulling out a beautiful Delta Vintage rollerball pen for the signature that finalizes a deal is sure to impress! J. Herbin ink cartridges in the color Bleu Nuit would be a nice match. 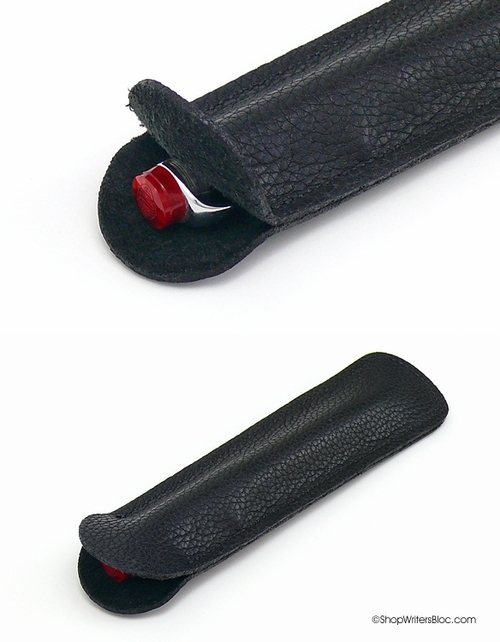 When you invest in the gift of a classy pen, a genuine leather pen case is the perfect accessory. 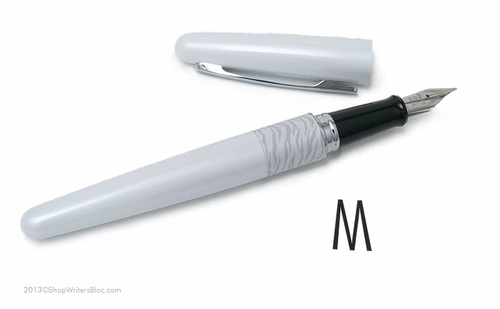 It protects your pen from damage when it is carried in a purse or briefcase. Aston Leather has many fine leather pen cases to fit your Grad’s needs. The Aston single pen leather slip case is a simple, reasonably priced popular choice that comes in three choices of color. 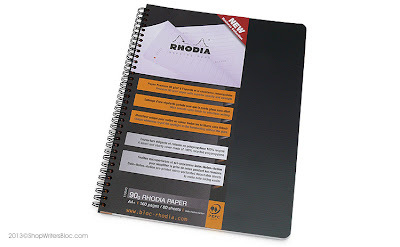 The Rhodia Meeting Book can help keep a young professional entering the business world organized and on top of their project deadlines and goals. 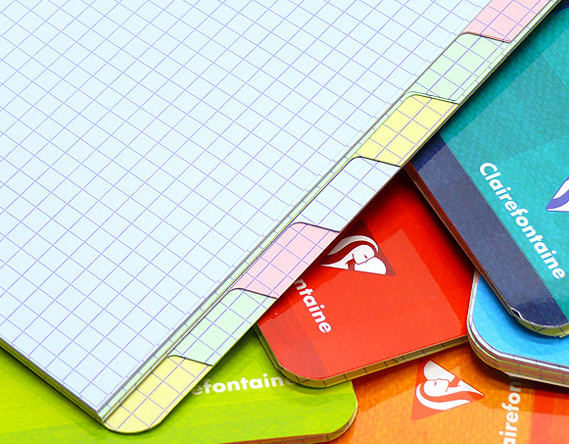 It’s more than just for work meetings though – the layout is based on a method of note taking designed by a professor at Cornell University. This note taking method can help any college student refresh their memory for mid-terms and finals. This is an action packed, eventful time of a young person’s life. A unique journal is a great outlet for emotions and channeling creativity. 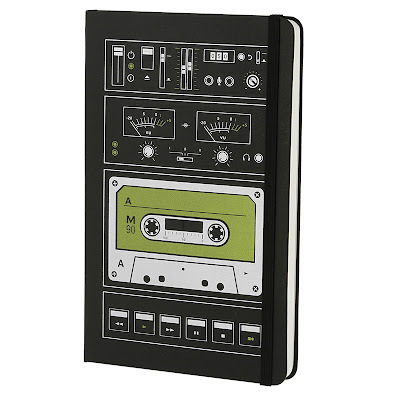 The Moleskine Audio Cassette Journal celebrates the 50th anniversary of the audio cassette with a fun retro design.. Chances are your Grad could use some inexpensive R&R with their friends. Why not introduce them to a Eurogame and they can discover for themselves why these games are increasingly popular! 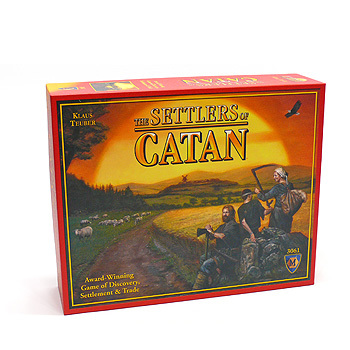 Settlers of Catan is a great gateway to the world of Eurogames. Do you have a Grad in your life? What gift ideas or special plans do you have in mind for them? Want to win a $25.00 gift certificate to spend at Writer’s Bloc? See the comments below for details!